A new study has revealed that binge drinking during pregnancy can negatively affect mental health of child aged 11 and deteriorates his school performance. The study at University of Bristol showed that this was the case even after a number of other lifestyle and social factors were taken into account, including the mother’s own mental health, whether she smoked tobacco, used cannabis or other drugs during the pregnancy, her age, her education, and how many other children she had. This builds on earlier research on the same children that found a link between binge drinking in pregnancy and their mental health when aged four and seven, suggesting that problems could persist as a child got older. 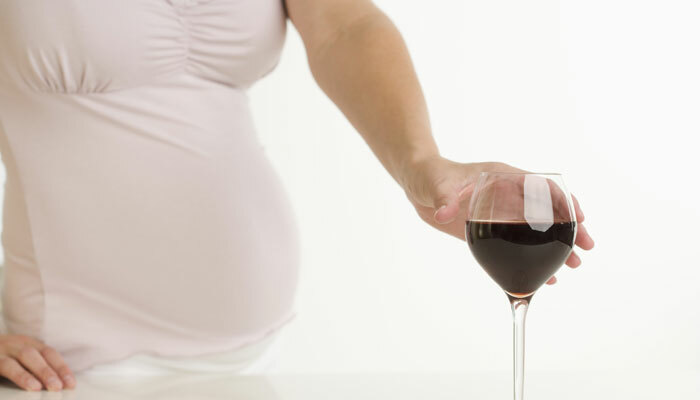 Lead author Kapil Sayal said that women who are pregnant or who are planning to become pregnant should be aware of the possible risks associated with episodes of heavier drinking during pregnancy, even if this only occurs on an occasional basis. Sayal added that the consumption of four or more drinks in a day might increase the risk for hyperactivity and inattention problems and lower academic attainment even if daily average levels of alcohol consumption during pregnancy are low. Sayal continued that the study highlighted the need for clear policy messages about patterns of alcohol consumption during pregnancy, whereby women who chose to drink occasionally should avoid having several drinks in a day. The study is published in the journal European Child and Adolescent Psychiatry. Have you heard of Shatavari? One of the Best Herbs for Women!!! 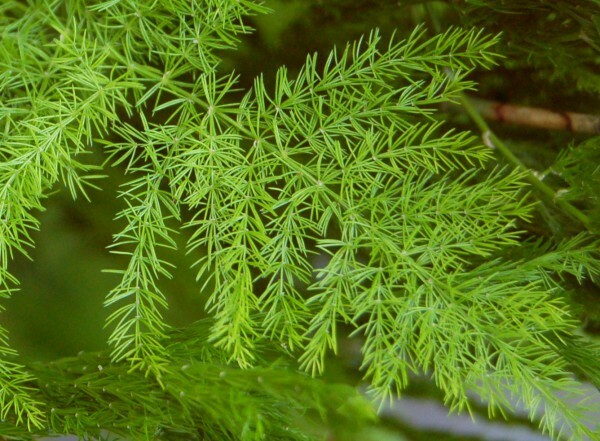 Shatavari ( Asparagus racemosus ) is a climbing plant, grows up to a height of two meters. This plant is popular across Sri Lanka, India and the Himalayas. 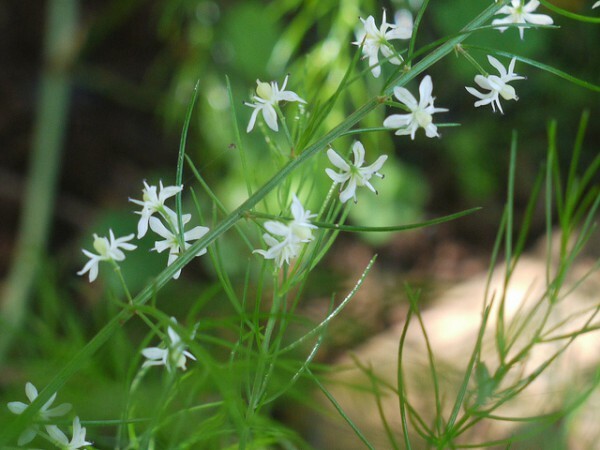 It is best known for the beneficial actions for female organs. 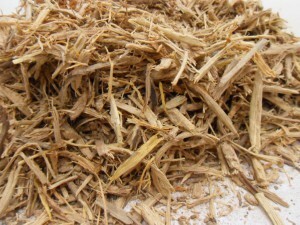 It is used for treatment of loss of libido and infertility – stimulates the production of healthy ova. It is very good in pregnancy – relieves morning sickness and during the period of breastfeeding stimulates normal lactation. Maintains balance hormones and regulate ovulation and menstruation. It relieves premenstrual symptoms – pain, bloating, irritability. Also is used for the treatment of vaginal infections. – helps at pain from sciatica or arthritis. 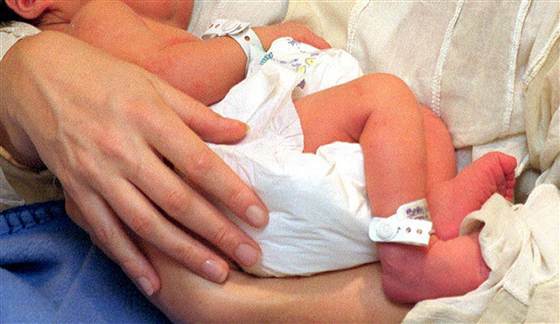 A researcher at the University of Lethbridge says the cause of premature births could be linked back to stress in past generations This research could help understand Alberta’s pre-term birth rate, which is the highest in Canada. Researchers subjected rats to stress late in pregnancy and observed their offspring. They found that the daughters of stressed rats had shorter pregnancies than the daughters of rats not subjected to stress, and that the grand-daughters of stressed rats also showed shorter pregnancies even if their mothers had not been stressed. “I think if you understand the mechanisms of how this is being generated — the footprint of stress — we have a means of predicting the risk of pre-term birth in future generations and finding certain interventions,” said Gerlinde Metz, a professor of neuroscience and Alberta Heritage Foundation Medical Senior Scholar at the university and one of the researchers on the team. Metz says stress can alter the genes, meaning mothers-to-be can pass the altered genes on to their babies and that’s why the future generations showed the effects of the original rat’s stress. The study looked at four generations of maternally-related rats. It found the stressed rats and their offspring also gained less weight during pregnancy and had higher blood glucose levels. As well, their offspring were smaller and had delays in behavioural development, all effects which were amplified over successive generations. Metz says the study could help provide clues to the causes of pre-term births in humans as well as help other researchers identify the predictors and possible interventions for the pre-term births. Get plenty of rest when you can. This is especially important if you have to get up early in the morning. But DON’T take a nap right after a meal. This can cause nausea to be worse. Talk with your health care provider about any supplements and treatments for morning sickness. If morning sickness is so severe that you are constantly throwing up and not keeping anything down, consult with your health care provider about the possibility of having hyperemesis gravidarum. 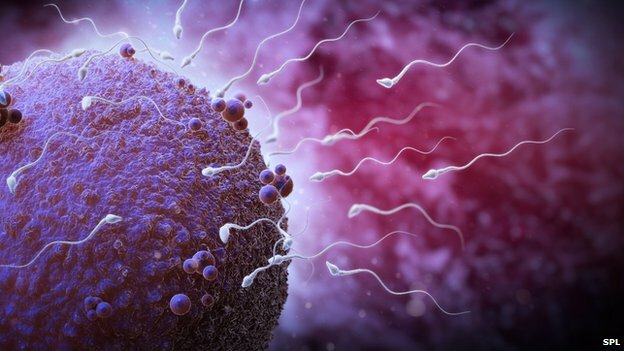 Women should not worry about using sperm from older donors as the success rate is the same as using a younger man’s sperm, researchers say. The average age of donors has risen in the UK since the right to anonymity was removed in 2005. Doctors said there was concern about the impact on the odds of a pregnancy. Experts said only older men with the best sperm could donate, so men as a whole should not see the results as an excuse to delay fatherhood. A presentation at the European Society of Human Reproduction and Embryology annual conference showed the average age of donors was 26 before the law change and 34 afterwards. “It is a huge difference,” said Dr Meenakshi Choudhary from the Newcastle Fertility Centre. She analysed data from 39,282 cycles of IVF between 1991 and 2012, concluding that older men had the same success rates as younger men. Dr Meenakshi Choudhary told : “It doesn’t matter up to the age of 45 years, there was no decline observed in this study. “Sperm donors are a select group of the population, they are healthy fertile donors who go through a stringent recruitment criteria. Dr Allan Pacey, a lecturer in sperm at the University of Sheffield, said men should not be tempted by complacency. He told “I think there is a perception out there that men are invincible from reproductive ageing – we just need to look at Charlie Chaplin who was 73 when he had his eleventh child. “We know that as men go above the age of 40 and go into their fifties, their chances of getting a woman pregnant does reduce as a consequence of age. If you are expecting twins and don’t know what to expect, you are not alone. Many women pregnant with twins have no idea what to expect, but that doesn’t mean they — and you — can’t learn. So here is some information to help you understand what’s happening when you’re expecting twins. A twin pregnancy is a double blessing, but it can also carry greater risks than singleton pregnancies. In the U.S, about three in every 100 pregnant women give birth to twins or triplets, according to the Mayo Clinic in Rochester, Minn. And by many accounts, twin pregnancies are on the rise. Be prepared. Familiarize yourself with the top 11 things you didn’t know about your twin pregnancy from conception through delivery. No. 1: You are more likely to become pregnant with twins naturally when you are in your 30s and 40s. We all hear that the older we get, the harder it is to conceive, but advancing age may actually increase the likelihood of a twin pregnancy, says Abdulla Al-Khan, MD, the director and chief of maternal and fetal medicine and surgery at Hackensack University Medical Center in New Jersey. “Once you are 25 or into your 30s and 40s, ovulatory cycles are not regular anymore. If you are not regular and do ovulate, you could be ovulating two follicles at the same time.” Voila! A twin pregnancy — without assisted reproductive technologies. No. 2: If you have two buns in the oven, you may need extra folic acid. Women pregnant with twins may need more folic acid to help stave off birth defects, says Manju Monga, MD, the Berel Held Professor and the division director of maternal-fetal medicine at the University of Texas Health Sciences Center in Houston. “We recommend 1 milligram of folic acid per day for twin pregnancies and 0.4 milligrams for singleton pregnancies,” says Monga, who has twins. Folic acid is known to reduce risk of neural tube birth defects such as spina bifida. No.3: Women pregnant with twins clock in more time at the obstetrician. No. 4: Morning sickness may be worse with twin pregnancies. “One of the things that is postulated as causing morning sickness is high levels of human chorionic gonadotropin, and we know that levels of this hormone are higher in twin pregnancies, so women carrying twins have a higher incidence of nausea and vomiting in the first trimester,” says Al-Khan. The good news? Most morning sickness abates within 12 to 14 weeks of pregnancy — even in twin pregnancies. That’s not all, Monga says. Moms pregnant with twins complain of more back pain, sleeping difficulties, and heartburn than moms who are carrying one child. Moms pregnant with twins also have a higher rate of maternal anemia and a higher rate of postpartum hemorrhage (bleeding) after delivery. No. 5: Spotting may be more common during twin pregnancies. “When you spot in the first trimester, you could be undergoing a miscarriage, and miscarriages are more common in mothers of twins, triplets, and quadruplets — so we see more spotting in first trimester with multiples,” Al-Khan says. No. 6: You don’t feel the babies kicking any earlier with twin pregnancies. No. 7: Moms pregnant with twins may gain more weight than moms carrying one child. Exactly how much weight should you gain? The IOM recommends that you talk to your health care provider about that, because every pregnancy is unique. No. 8: Risk of developing gestational diabetes is higher in twin pregnancies. “The gestational diabetes risk is higher in twin pregnancy,” says Monga. That said, the biggest risk of gestational diabetes is having larger babies and requiring a C-section delivery, she says. Still, moms who develop gestational diabetes during pregnancy are more likely to develop type 2 diabetes later in life, she says. No. 9: Risk of preeclampsia during pregnancy is higher in twin pregnancies. “People really don’t know what causes preeclampsia to start, but we know it occurs more frequently in twin pregnancies,” Monga says. Preeclampsia is marked by high blood pressure, protein in the urine, and sometimes swelling in the feet, legs, and hands. It is the precursor to the more serious, potentially fatal eclampsia. No. 10: Labor (and delivery) may come early with twin pregnancies. Most moms carrying twins go into labor at 36 to 37 weeks, as opposed to 40 in a single pregnancy, Al-Khan says, and some may go even earlier. “Generally, if the twins are born after 34 weeks, there should not be a major concern, but a premature baby is still a premature baby,” he says. 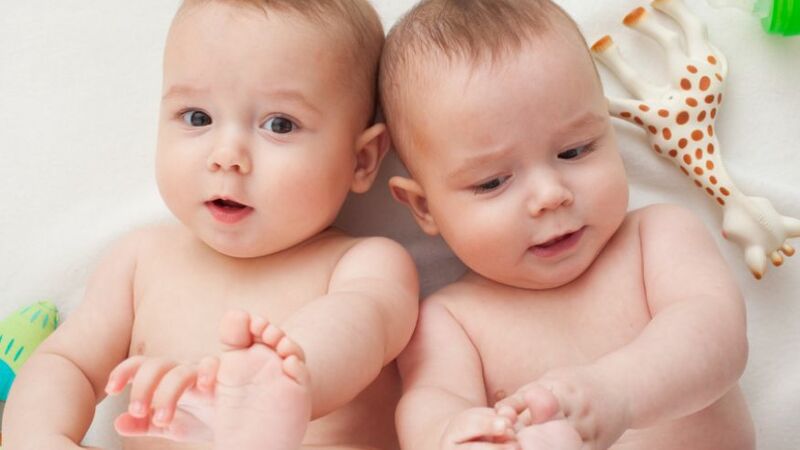 “Twins are at higher risk of preterm labor and delivery and have higher degree of respiratory issues.” As a result of being born too early, twins may be born at low birth weights, and such babies tend to have more health problems than babies born weighing more than 5.5 pounds. No. 11: Cesarean section deliveries may be more common in twin pregnancies. “The likelihood of having a C-section is absolutely higher in twin pregnancies,” he says. “There is also a higher incidence of the baby being in breech position among twins than singletons.” When the baby is in a breech position, a C-section delivery is usually required. The study authors also discovered that women exposed to pesticides during their second or third trimesters were even more likely to have a child born with developmental delays or autism. Until further research determines whether pesticides inside the home pose similar risks, Janie Shelton, one of the study’s authors and a graduate student at UC Davis, advises pregnant woman to limit pesticide exposure as much as possible. 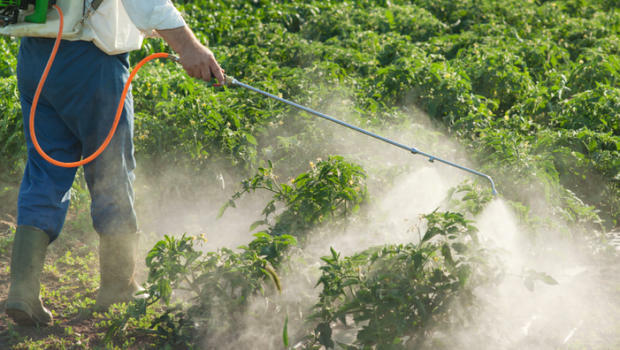 The findings add to the mounting evidence linking autism and developmental delay to pesticide exposure during pregnancy. The authors say further research is needed to determine whether a mother’s genes also contribute to the increased risk associated with environmental exposure to pesticides. Another study published in Pediatrics this week found a link between race and autism spectrum disorders. The researchers looked at more than 7,500 people and found that children of foreign-born black, Central and South American, Filipino and Vietnamese mothers were at higher risk of developing autism than children of white mothers born in the United States. This doesn’t necessarily mean that these races are more genetically prone to autism. “It can be very scary for parents when they hear such high degree of association, but they should also keep in mind that this research is only showing some association and not cause,” William Sharp, director of the Marcus Autism Center and assistant professor at Emory University School of Medicine, wrote in an email. Sharp was not involved with either study. And experts agree there are many other risk factors that could be at play in increasing the autism risk, such as maternal stress after relocating to the U.S., nutritional deficiencies and/or a lack of access to treatment and diagnosis. “Both studies highlight the need to further enhance our understanding regarding the relationship between environmental events, fetal and early childhood development and autism,” Sharp wrote. Induced births falling in the U.S.
Today’s expectant moms and their doctors have decided it’s not nice to fool Mother Nature. Rather than inducing labor, they’re letting nature take its course, with the length of pregnancies in the U.S. on the upswing, according to a new study by the CDC. “Studies can’t differentiate between induction done for medical reasons and induction done for convenience, and if your doctor says this baby needs to come out at 37 weeks because of a problem, you need to trust your doctor,” says Noble, citing issues such as maternal or fetal distress as a cause for earlier delivery. What patients and doctors shouldn’t do is schedule an earlier delivery because of a vacation or other issue. “We know that 38 weeks and beyond is good for the baby,” she says. Laughing gas for childbirth: The new way to have a pain-free labor? You may have used nitrous oxide, aka laughing gas, to cope with painful dental procedures, but what you may not know is that laughing gas is now being used to help women cope with labor pain. In the U.S., laughing gas for labor pain was common practice years ago.Now, more women than ever are exploring their options and making informed choices about childbirth, the pain-relief option is seeing a resurgence— more hospitals and birth centers are making it available to their patients. But is it safe? And will it really make labor pain-free? Find out the answers to these questions and more. Nitrous oxide for labor pain was common practice in the U.S. in the 1930s, but as other options like twilight sleep, general anesthesia and later, IV narcotics and epidural became available, nitrous oxide fell out of favor. Today, in countries like Australia, New Zealand, and the United Kingdom., nitrous oxide is common practice, with up to 80 percent of women using it. Nearly 30 hospitals and birthing centers in the U.S. currently offer or will soon offer nitrous oxide and every day more are calling to get information about it, Collins said. Laughing gas is a 50-50 mix of nitrous oxide and oxygen that women inhale the through a mouthpiece. Yet unlike in the dental office where it’s administered continuously, the woman decides when and how often to use the odorless gas. Here’s how it works: At the start of a contraction, you breathe in the gas so at the peak of the contraction, you get the most pain relief. Nitrous wears off within a few breaths of when you stop inhaling, so the effects end with the contraction and is completely eliminated from the body, Camann said. “The pain relief that women feel is variable,” said Collins said. She noted that some women report that nitrous was all they needed, while others say it simply took the edge off. For some, it doesn’t help at all. Although nitrous oxide is a drug, it’s a viable option– even for women who want to have a natural birth. Unlike IV drugs or an epidural, you can stop it at anytime. Plus, it doesn’t slow or halt labor, meaning it doesn’t increase your risk for other interventions, including a C-section, LoGiudice said. Nitrous oxide can also be used at any time during labor, even later on in the process when an epidural isn’t always an option. Approximately 35 to 40 percent of women who use nitrous oxide also get an epidural. However, this doesn’t necessarily mean the gas didn’t work. Rather, it can help women delay getting the epidural as their labor progresses and allow the baby to move down further, Collins said. At Vanderbilt, nitrous oxide is also used when woman are anxious about getting an IV or an epidural, or for painful procedures like the manual removal of the placenta or repair to the perineum after delivery. About 10 percent of women who use nitrous oxide will experience nausea and vomiting and other common complaints such as feeling lightheaded, dizzy or extreme drowsiness. After many hours of labor, some women also report feeling tired, but just like nausea, it’s hard to tell if it’s due to the nitrous or labor itself, Collins said. Nitrous oxide doesn’t affect the baby’s heart rate or breathing, and studies show that babies whose mothers used it had similar Apgar scores to those who used other pain relief methods or none at all, according to a recent review in the journal Anesthesia and Analgesia. Yet the same report showed that more research using stronger studies is needed. What’s more, it’s unclear if there are long-term effects on things like development or IQ, as researchers have yet to look at these areas. The bottom line: Nitrous oxide may help to decrease your anxiety and pain and make for a better birth experience, but it’s important to arm yourself with information and make the best choice for you and your family. Ultimately, it’s about giving women choices to have the birth they envision. Eating well balanced meals is important at all times, but it is even more essential when you are pregnant. 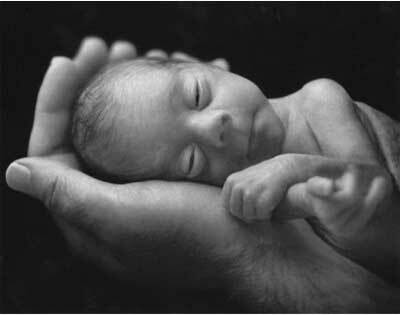 There are essential nutrients, vitamins, and minerals that your developing baby needs. Most foods are safe; however, there are some foods that you should avoid during pregnancy. Caffeine: Although most studies show that caffeine intake in moderation is OK, there are others that show that caffeine intake may be related to miscarriages. Avoid caffeine during the first trimester to reduce the likelihood of a miscarriage. As a general rule, caffeine should be limited to fewer than 200 mg per day during pregnancy. Caffeine is a diuretic, which means it helps eliminate fluids from the body. This can result in water and calcium loss. It is important that you are drinking plenty of water, juice, and milk rather than caffeinated beverages. Some research shows that large amounts of caffeine are associated with miscarriage, premature birth, low birth weight, and withdrawal symptoms in infants. The safest thing is to refrain from consuming caffeine. Unwashed Vegetables: Yes, vegetables are safe to eat, so you still need to eat them. However, it is essential to make sure they are washed to avoid potential exposure to toxoplasmosis.